Becoming a dad changes a man’s life in ways that only other dads can understand. It’s an exciting time, and I suppose that’s why all the old TV shows and movies show family all gathered in the hospital waiting for the new baby. When it finally comes, Dad shows up with the baby and all the men share a cigar in celebration. It doesn’t really happen that way anymore, but it’s still a special time for a new dad. If you’d like to get him something special, but don’t want to be cliché with cigars, here are a few different ideas to change things up. The first thing everyone at the office asks a new dad when he gets back is “do you have any pictures?” Of course he will have a few, and as time goes on they’ll keep asking for more. Besides that, being away from the family so much, he’ll start to miss seeing the new addition! The only problem is, his desk is probably not big enough for several photos. A digital picture frame will take care of that problem nicely. Another option is a multi-picture frame, sort of like a rolodex for pictures. That way he can switch it up as often as he’d like and get to enjoy seeing his baby during the work day. Parents understand this: babies take more time, energy, focus, and sleep away from a new mom and dad than they expected. Even though their friends tried to tell them what it was like, it’s something that has to be experienced to be understood. As a result, they can start to feel like they want a little bit of time, just a couple hours, to be together. Grandma can come watch the baby, and the parents can head to dinner. So think about a gift card when considering what to get the new dad. Taking his wife out will be a treat for him and her as well, and both will appreciate the thoughtfulness and the time they can take to breathe for a moment. And Grandma will love playing with the baby! Weather he smokes or not, every guy has thought about what it’s like to smoke a pipe. It looks so sophisticated and manly, we all would love to give it a try. Taking the spin on the cigar thing, maybe a cool pipe with some great-smelling tobacco would be a fun gift for him to try out. Instead of the rough smell of most cigars, a more luxurious smell of cherry mixed with a bit of forest, kind of like swisher sweets, can be much nicer to be around and almost feels more elegant. 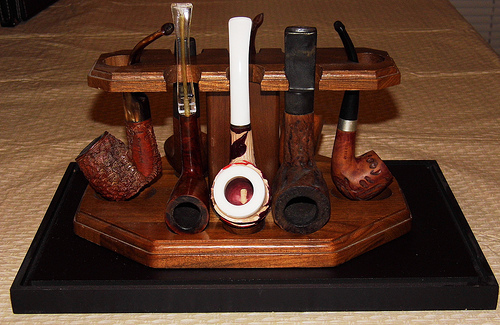 Sure, cigars are masculine too, but there’s just something about a pipe! So there you have a few different ideas for a gift for a new dad. As much as you’ll want to impart wisdom, he’s new and probably won’t really grasp the gravity of it all until later. A nice gesture like one of these gifts is great to show him you appreciate what he and his wife will be going through. Next story How To Become A Certified Relationship Coach?